Summer is a fabulous time of year, not only for warmer weather but for the variety of delicious fruits that hit the supermarkets. The nectarine is one of those sweet and juicy fruits that provide a great source of nutrients necessary for optimal health! Dietary fibre is mainly needed to keep the digestive system healthy. It also contributes to other processes, such as stabilising glucose and cholesterol levels. Fibre’s widespread benefits also include promoting weight loss. This B vitamin helps convert carbohydrates into usable energy and plays an important role in the nervous system, digestive system. It also promotes skin, hair and eye health. Many studies show niacin may even increase HDL (good) cholesterol. Shake-up breakfast. Add a cup of sliced nectarines and a cup of ice to your morning ReShape shake and blend. Snack on the go. Grab a nectarine and a handful of nuts for a quick bite with plenty of fibre and protein. Save for later. To enjoy this summer fruit throughout the year, arrange whole or sliced nectarines on a cookie sheet and place in the freezer. Once frozen, store the nectarines in a plastic bag. When you’re ready to eat, run the nectarine under cold water to remove the skin. 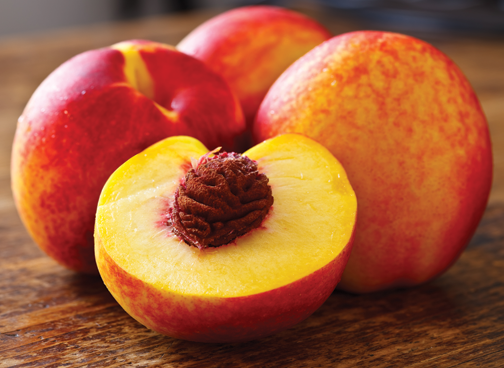 Prepare frozen nectarines as usual. Posted in Health and tagged nectarine, ReShape, snack, summer.